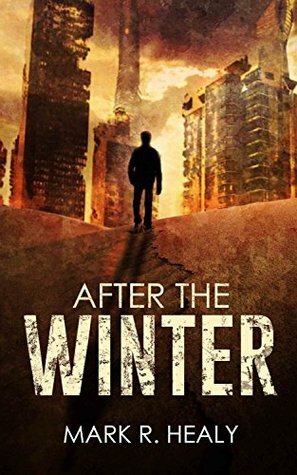 After the Winter by Mark R. Healy is the first book in the Silent Earth series. Brant is a synthetic. He’s spent the last year in the wastelands in a future Earth desolated by nuclear winter. On the run from a group called the Marauders, who cannibalise other synthetics for spare parts, Brant stumbles into a city known as Perish and a half destroyed synthetic named Max who saves him. After befriending Max, Brant finds a weed and believes the Earth is beginning it’s slow recovery. Renewed with a sense of purpose, Brant leaves Max behind, evading the Marauders on his way west, where his human body is being kept in a cryotank. When he arrives home, he reunites with his former colleague, Arsha, determined to return to his human form. But Arsha stands in his way, a voice of reason he doesn’t want to hear. I thought of it as the silent earth, a place where the voices of people, animals, birds and insects had been stilled. Mother Nature’s offspring had all been wiped out. Mark Healy shows us a dystopian future where war is the product of human failings, rather than the rise in machines. Before the war humans and machines lived together in harmony. Populated by a handful of synthetics, the only humans left on Earth After the Winter are stored in cryotanks. Through the main character, Brant, and his travels through the wastelands, the reader gets a glimpse of what living through a nuclear winter would be like, provided you survive the war first. Like a lot of people, I find dystopian stories fascinating. After the Winter is one of the best in the genre, although the world-building, whilst fantastic, did slow the pacing at times. The protagonist, Brant, is a brilliant character. He’s flawed thanks to his human memories and feelings, and he makes judgments that aren’t always right. But he’s also strong and a survivor. Arsha isn’t what I expected, and I didn’t warm to her right away. By the end I had, especially when she puts herself in danger for what she believes is right. I expected some sort of twist at the end and I wasn’t disappointed. It also wasn’t what I expected it to be. An enjoyable read for anyone who likes dystopian or sci-fi novels.